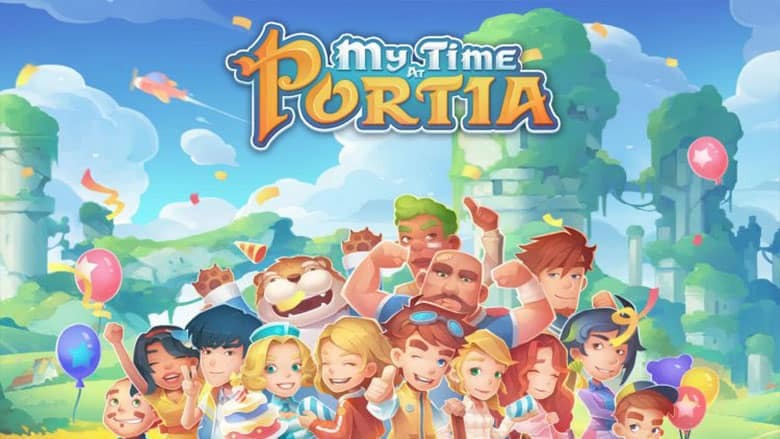 My Time At Portia Switch Review | Nerd Much? 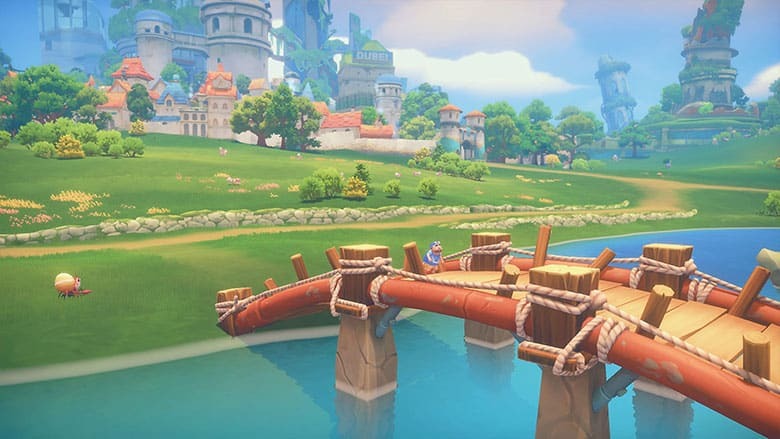 My Time At Portia has been on my radar for a while due to its apparent resemblance to games such as Stardew Valley and Harvest Moon, which are among my favorites. It has, in fact, been sitting on my Steam wishlist for months, but I never got around to it – perhaps because it didn’t seem to be generating much buzz. When I found out it was coming to the Switch, though, I knew I had to get my hands on a copy. I can’t speak to the PC version, obviously, but the console version is in rough shape; it feels more like a beta than a finished product. That said, it is definitely not lacking in charm, and a little polish could have easily made this game on par with Stardew. The game was first released on January 15th for PC and has received overall positive user reviews. This is not entirely unsurprising to me, because despite the flaws it is an undeniably fun adventure with the addictive quality that is unique to farming and crafting sims. It’s also possible that the PC version is in slightly better shape, having been out for three months already. The biggest draw for me – aside from the fact that farming games are my jam – was the art style, which is positively adorable. Even the enemies are cute; for instance, they have something called a Panbat, which is a cross between a panda and a bat. The environments are gorgeous and almost watercolor-esque with their lack of hard lines. The soundtrack is likewise light and cheery, setting a nice relaxing tone for the inevitable hours of gathering and crafting. The backstory is quite intriguing – My Time At Portia takes place in a post-apocalyptic world, where evidently mankind’s technological advances became their undoing. There are ancient ruins scattered around the map that you can delve into and mine for relics from the old world. You’ll also find something called data discs that hold the keys to replicating old technology. There is some disagreement in Portia over how these should be handled; the Church of Light believes that these discs are dangerous and should be destroyed, and will allow you to exchange them for items. The Research Center, on the other hand, will use them to research technology that you can utilize on your farm. I thought this whole concept was an interesting twist on the typical farming game and added a cool story element beyond simply inheriting a family farm in a run-of-the-mill rural town. The problem is, I kept finding myself tuning out the story due to the fact that all the text is a sloppy mess. From dialogue to loading screens to tutorials, every sentence is riddled with grammatical errors and typos. This is one of my biggest pet peeves in a finished game because it seems like it should be the easiest thing to do correctly. My Time at Portia would have benefitted massively from simply hiring a decent proofreader because the issues are bad enough to distract from gameplay. On top of that, the dialogue is just poorly written; it’s bland, awkward, and often far too wordy. I didn’t find the conversations engaging in the slightest, which sadly took away from the romance element of the game. Like its spiritual predecessors, Portia has several romanceable characters, but the lackluster writing does nothing to convey unique personalities and the relationship progression is ultimately disappointing. Combat is somewhat reminiscent of Zelda games, and would be enjoyable were it not plagued with severe framerate drops, making it nearly impossible to successfully dodge-roll. The game in general just needs to be smoothed out, as cutscenes and even character animations tend to be a little choppy. Which brings me to the technical issues, which are numerous and, in my humble opinion, are what have kept this game from being the smash hit it should be. Loading times were abysmal, but have been helped somewhat by a day-one patch. Crashes are also an issue, but fortunately, they don’t usually result in significant progress loss because like Stardew Valley, the game saves every night when you go to sleep. Still, it’s frustrating to get through an entire day only to have to start it over again. Beyond that, Portia is rife with bugs; some of the ones I noted were the color wheel in character creation moving after I selected a color, items disappearing, quest objectives frequently not showing on the map, issues with the alerts for events popping up out of order, and one particular spot where the ground changes texture and my character inexplicably gets stuck. Perhaps the game would have benefitted from an early access period on consoles to work out the kinks. Hopefully, the developers will continue to support the game and release bug fixes to help it realize its full potential. Better late than never, right? The game’s saving grace is its crafting system, which is one of the best and most in-depth I’ve seen in any game. I got sucked in for hours at a time just gathering resources and crafting various items to decorate my home and fill commissions. Portia doesn’t lack for other fun things to do, either; like Stardew and Harvest Moon, you can also grow crops, fish, cook, and raise animals, plus participate in seasonal events and mini-games. Additionally, you will gain access to several dungeons as you progress through the story, each with higher level enemies and better loot. As for travel, you have several options; at first, there is a bus, but later you will be able to rent or own a horse and build a system of fast travel known as Dee Dee Transport. This becomes especially convenient as you unlock more areas of the map, which is surprisingly expansive for this category of game. Rarely have I been so conflicted over a game review. The technical issues are prevalent and severe enough to detract from the gameplay, but the gameplay is enjoyable enough to persist in spite of the issues. 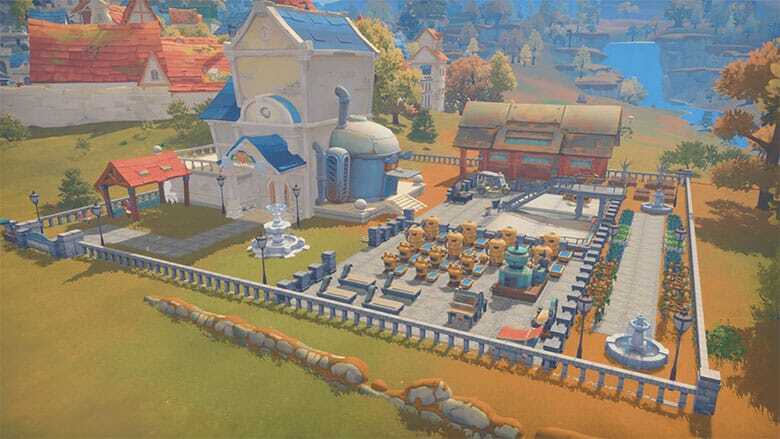 My Time At Portia is, at its heart, a fantastic gem of a game that perhaps could have used some more time in development and/or attention to detail. If you can get past the flaws, you’ll almost certainly invest more than enough time to justify the cost; if not, however, it might be better to hold off on buying and wait to see if the developers continue to patch the game. Based on the accessibility of the developers and the fact that they continue to improve the PC version, there seems to be hope for Portia’s future.